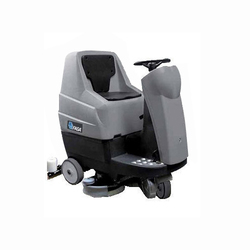 Leading Manufacturer of single disk machine, abila 50 e scrubber dryer, floor cleaning and scrubbing machine, genie e-scrubber machine, rotomac floor scrubbing machine and fasa a13 up rideon floor scrubber driers from Bengaluru. We bring forth Single Disk Machine that can be availed at competitive market prices. These machines are made using high quality components sourced from notable vendors of the market. Moreover, these are made in alliance with industry standards and are capable of catering to the needs of a widespread clientele. 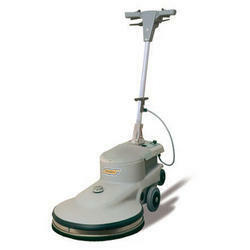 maintenance cleaning, this machine can perform well through cleaning by means of aggressive brushes and abrasive pads. 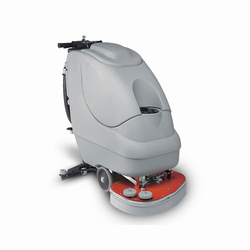 We are offering a wide range of Floor Cleaning and Scrubbing Machine. collaboration with our dealers) is always available for advice or direct intervention. with a potentially explosive atmosphere, for picking up dangerous dusts or inflammable liquids. In addition, it is not suitable as a means of transport for people or objects. 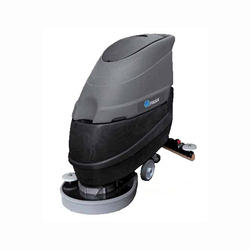 We are offering Rotomac Floor Scrubbing Machine to our clients. 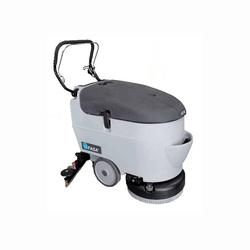 • Capable to work for the maintenance and deep cleaning of large areas (up to 3.700 m²) with a very important reduction of cost of cleaning. • More than 50 kg of constant pressure on the brushes. • Large load tank capacity, resulting in reduced number of stops and maximum use of battery charge for effective operation of the machine. • Compact size (810 mm). • Stability even when fully loaded, front independent wheeldrive with tight steering radius. • Recovery tank control window for cleaning and easy ordinary maintenance. • Easy access to electrical components. • Automatic device that stops brushes and detergent water outﬂow when the machine is stationary. The detergent water tank serves as battery compartment, allowing the housing of great capacity batteries granting continuous working time up to 4-5 hours.Large capacity shock and acid proof polyethylene tank (110 l ) improves productivity avoiding frequent reﬁlling and idle time. Simple and intuitive controls reduce operator’s training time.Easy mechanical brush plate and squeegee lifting system, for low maintenance costs. 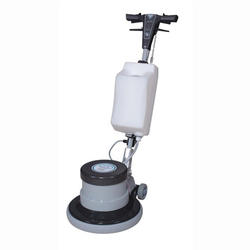 The enbloc brush plate apply a very high pressure (50 kg) to the ﬂoor, strongly and deeply removing any kind of dirt. New control panel with digital controls and display. Digital display: with hour meter, battery charge level indicator, empty water tank level indicator and forward/reverse traction indicator. 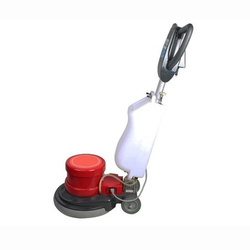 Speed control adjustement, horn, suction motor switch with delayed switch-off, brush plate lifting/lowering selector switch, brush motor switch. The ergonomic and comfortable shape of the machine allows the operator to work effortless for a long time, improving productivity. 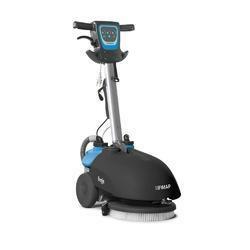 We are offering Fasa Scrubber Drier A13 Essential to our clients. Reclining handle with control lever. Recovery tank with visual inspection. Batteries compartment (380 x 270h400). Easy access and simple service of the components. allowing the perfect cleaning also on 90° corners. Shock absorbing covers , simple cleaning of the recovery tank, non marking wheels. Easy access to mechanical parts ( easy maintenance of each component ), removable recovery tank without tools. operation and detergent water outflow. General ON/OFF switch, brush and vacuum motor switch,solenoid valve operation switch. 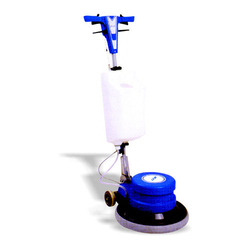 brush plate and squeegee grant the right cleaning pressure on any type of floor. We are offering Fasa A16 Scrubber Drier to our clients. 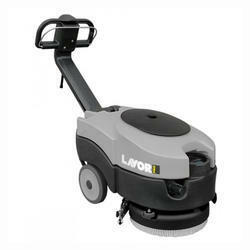 Looking for Floor Scrubber Driers and Machines ?